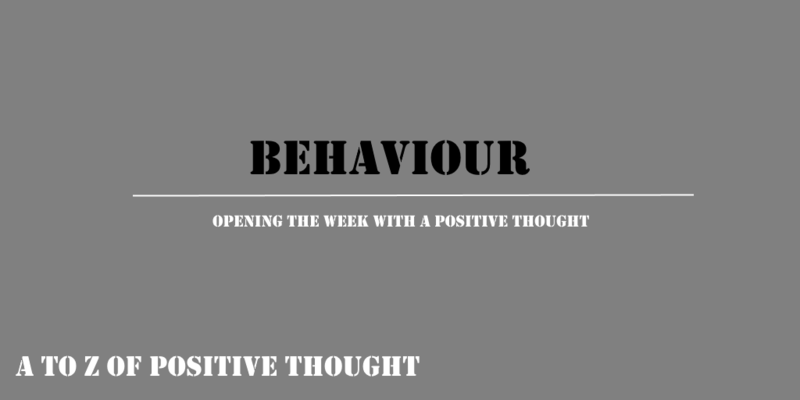 In the Next 27 Weeks, every Monday we aim to show off a new positive thought – to get your weeks going. Likely we will hit the same thought but at a different angle at some point. But don’t fuss – its be fun when we get to the finish. We mean behaviour as a old talisman. Be kind to people and they will be kind to you back. Treat others how you want to be treated. We have to push ourselves and even if we are not in a positive mindset – you need to be. Have a laugh a work even when you are not 100%. Push through, and if people ask if you are ok? Just let them know. In the western culture, more and more people consider taking a sick day – cause they don’t feel like going in. Why should we push ourselves in our negative environment jobs? That is up to you. If you disappear from work more and more – when an opportunity comes up that is exciting and better for you. Who do they look to? Not the sick day person. Until next time. Keep moving and keep pushing forward.